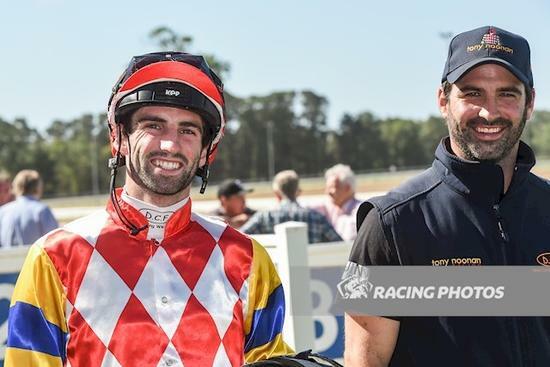 Seymour has been a happy hunting ground for Mornington-based trainer Tony Noonan over the years and Starvasive continued that success when proving too strong this afternoon in the $35,000 Seymour Toyota Handicap over 1000m. With Noonan committed to yearling inspections for the upcoming Inglis Premier Sale, son and Foreman Tom deputised for the veteran trainer. “Happy to get the chocolates. Jake’s done a terrific job just backing his guns and sticking off the rail,” said Tom after the win. Jumping well from barrier 1 with Tony’s youngest son Jake in the saddle, Starvasive ($5.50) initially stuck to the rail as others in the field elected to stay wide on the track in the better going. With the good alley, the youngest Noonan held his position in transit where he was headed by other out wider but saved all the ground sticking to the rail upon cornering. 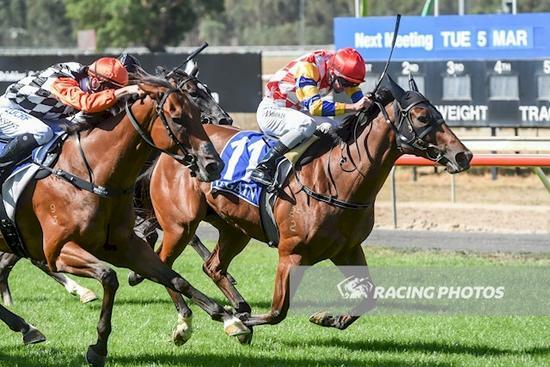 Travelling well, the 6-year-old Star Witness mare inched towards the centre of the track where she found a good kick on the Soft 5 going to be strong on the line for her third career win. Although the 0.1L margin wasn’t quite that of Show No Emotion’s 12L win on debut at Seymour back in 1997, the youngest Noonan was full of confidence. “I thought if Show No Emotion can do it, so can Starvasive,” joked Jake upon his return to scale. “We never seem to draw a gate with her and we finally draw a gate with her today, and the fence is off. “I was in a position where they didn’t cross me because they wanted to stay off the rail. It gave me the chance to put her there on the point of the turn and edge my way out to the middle of the track. With Tom having recently returned from 5 years working in Canada, today could be a sign of things to come when Team Noonan are at full strength.